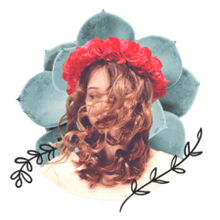 I've compiled the best hair products for pixie hairstyles for my readers. In this list, you'll find everything the typical pixie wearer could need including molding pastes, a flat iron and serums and volumizers. All of these products are beloved for various reasons and will help take your pixie from ho-hum to "Hallelujah! I'm having another great hair day." How a pixie looks depends so much not only on the haircut, but your hair's texture. Curly, wavy, fine and thick hair will all fall differently when cut and air-dried. Molding products (look for the words "paste," "putty," or "wax" on the label) allow you to create texture and style if you have fine hair, and add direction and control if you have unruly hair. If your hair is wavy, curly or tends to frizz, a flat iron will be a necessity in your beauty arsenal. But not just any flat iron will do, you'll need to invest in a 1/2 inch iron or at most, a 1-inch iron to best style your hair. Anything larger will be hard to work with. If you have long bangs, aim for the 1-inch. Shorter pixies look best ironed with a 1/2 inch, but these can be hard to find. Consider a mini iron, which has small plates and work well with short hair. I recommend my favorite flat irons on my list of The Best Flat Irons and Hair Straighteners. I include several 1-inch models. My pick for pixies: The BaBylissPro Nano Titanium 1/2" Mini Iron Blue. If you use a flat iron on a regular basis, a heat protectant sprayed on hair will protect it from the heat. I recommend TRESemme Thermal Creations Heat Tamer Protective Spray. The great thing about pixies and fine hair is that it's easier to add body to short hair than longer hair. You just need the right product. Fine hair can fall flat to the head like a helmet if you don't use a volumizer. Volumizers typically come in the form of sprays or mousse. I happen to like mousse, which had a reputation for a decade or so for being so 1985. Today's mousses are much nicer on hair, leaving them soft and pliable while still adding body. If you have extremely dry or coarse hair, serum is going to be your best friend. Apply to sections of hair before flat-ironing for a sleek, smooth finish. I recommend John Frieda Frizz-Ease Extra Strength 6 Effects Serum. If you suffer from frizzy hair or dry, coarse and unruly hair, a deep conditioner and a leave-in conditioner will help tame hair. Use the deep conditioners once a week or more and the leave-in conditioners as needed. Some women forgo the molding pastes altogether and use beach spray to add texture to their hair. A beach spray gives hair volume and lift at the roots. You can make your own using my salt spray recipe, otherwise, I recommend Fekkai Soleil Beach Waves Spray and Bumble and Bumble Surf Spray. If you are the type who goes days between hair shampoos, that may change with your pixie. Not many women wake up with gorgeous pixie bedhead. The pixie tends to be a high maintenance hairstyle and this means frequent shampoos. I recommend buying a good shampoo that won't wash out your color (if it's fake) or turn your hair dry. See my list of the Best Shampoos and Conditioners for All Hair Types and sulfate-free shampoos are a great bet. See my favorites in Sulfate Free Shampoos: The Top 10 List.